On February 5, 2010, the recovery community lost a good friend. Below you can read Jim Nugent's memorial as seen in the Daily Courier (Prescott, AZ). James (Jim) Nugent, beloved husband, father, grandfather, counselor, and mentor, died at age 76 when his heart failed while en route to his regular A.A. meeting on Feb. 5, 2010, in Prescott Valley, Ariz.
For over 30 years, Jim's passion was helping alcoholics/addicts recover to productive and responsible living. In this role he helped thousands. In the late 1970s, he was the first to offer 4th-Step guidance as a workshop. The format he used is duplicated all over the world. In the mid 1980s, his work in developing structured residential treatment homes led a recovery home movement that today fills the gap between primary in-patient treatment centers and halfway houses. Because these more fully supportive residential programs make recovery more likely for millions, and for his pioneering role in this industry, a noted psychiatrist labeled him "a national treasure." 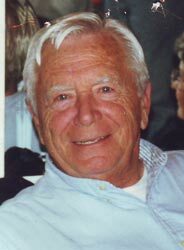 He started and directed homes in Laguna Beach and Newport Beach, California and in Prescott, Ariz., where he moved in 1997. This winter he celebrated 33 years sober as an active member of Alcoholics Anonymous. He often ended conversations with "Don't drink and go to lots of meetings." For many years, throughout the country, he conducted personal development seminars in which participants learned to identify and use those talents that particularly motivate them toward success. Last year he facilitated courses on "Your Bucket List" in the OLLI lifelong learning program at Yavapai College. Born on May 10, 1933, in New York City, he grew up loving track, basketball and tennis. He served two years in the U.S Army where he played on an Army basketball team. He graduated in education from Cortland State, earned a master's at Hofstra, and a Ph.D. in Iowa. He served as a teacher, an elementary school principal and a district administrator in New York schools before moving to California in 1975. An innovative and empowering educator, he believed in allowing students to function within their strengths and interests, and he promoted peer tutoring and teaching. Jim is survived by his wife of 40 years, Marilyn; by sons John, Joseph, James and Paul; by daughters Jean Nugent, Veronica Skelton, Catherine Collins and Mary Day; by brother Neil Nugent; sister Grace Nugent; and by 16 grandchildren. A celebration of his life will be from 1:30 to 3:30 p.m. on Saturday, Feb. 20, 2010, at the Ruth Street Theater. The family asks no flowers please. Many are unaware of how many lives were touched by Jim Nugent. His 33 year presence in the recovery community helped jump start people's lives. He played an important role assisting others start treatment facilities and specialized programs in the Southern California area. Jim Nugent's contributions to the recovery circle will be dearly missed; his memory will live on through the program of recovery.